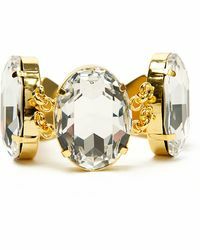 Founded in 2004, Tom Binns is renowned for its unique pieces of jewellery that are crafted with incredible care, blending classic stones and styles with an ultra-contemporary design. 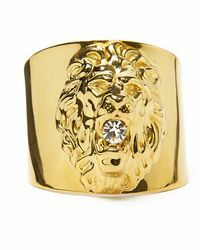 From classic pearls through to safety pins and skulls, the brand's aesthetic is always unexpected covetable and surprising. 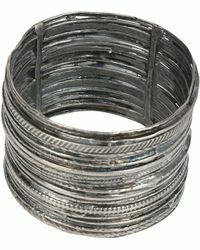 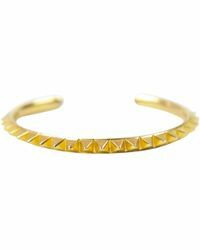 The range of bracelets from Tom Binns includes everything from gold-plated crystal cuffs and delicate crystal bracelets to directional designs, which incorporate studs, pyramids and barbed wire. 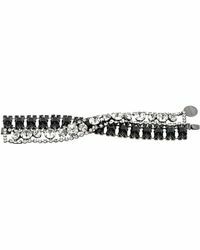 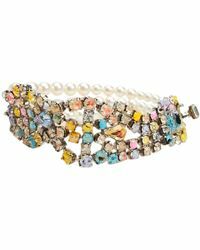 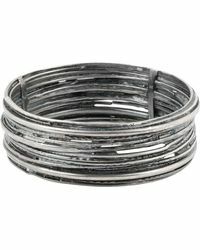 Explore the Tom Binns bracelets collection and lend your everyday look instant edge.